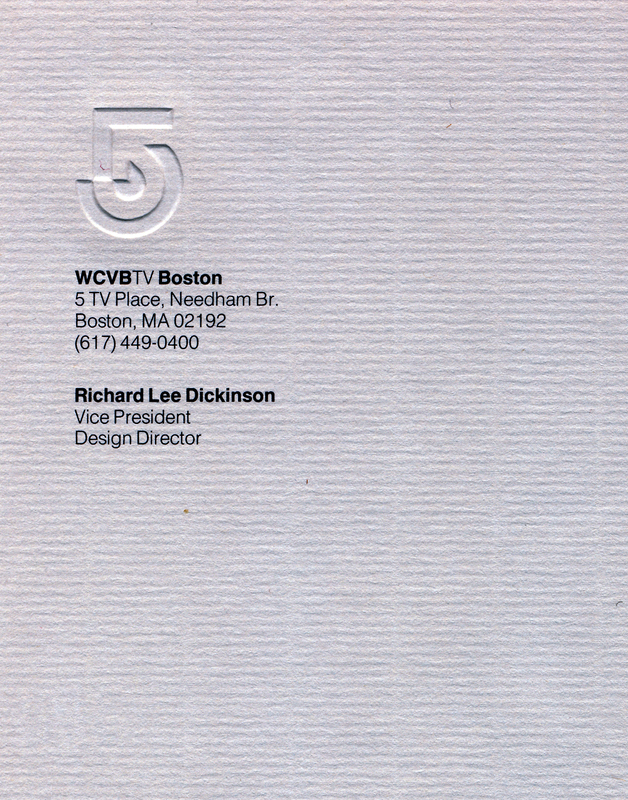 Retained in 1972 by Boston Broadcasters Inc. to develop a new corporate identity program for Boston's new ABC affiliate, WCVB-TV - Channel 5. 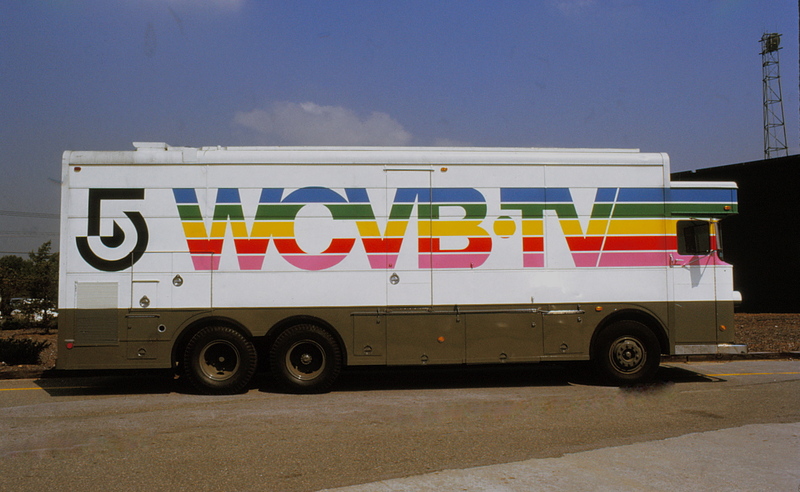 This was Wyman & Cannan’s first major client. 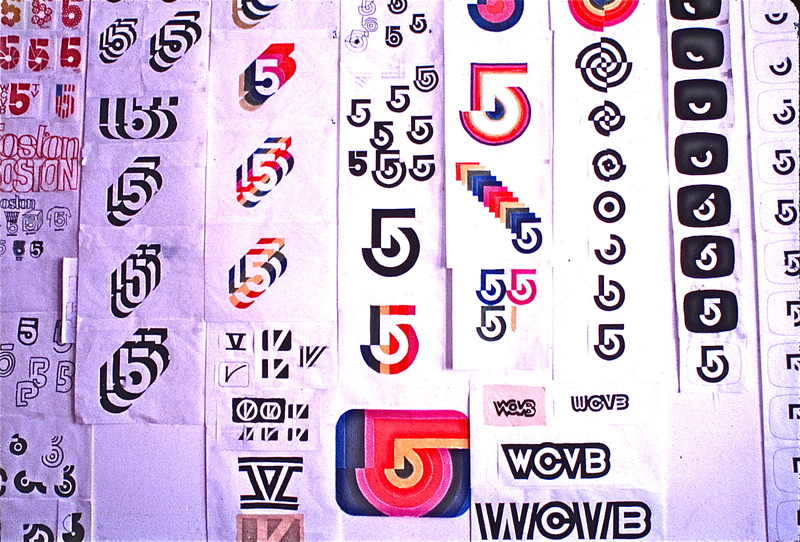 The challenge was to create a dynamic symbol based on the number 5. Large scale interpretations of the symbol were applied to all architectural elements of the new studios. In addition to creating a distinct symbol that identified the new channel, the assignment included the application of that symbol to a number of elements to strengthen the new broadcast entity. 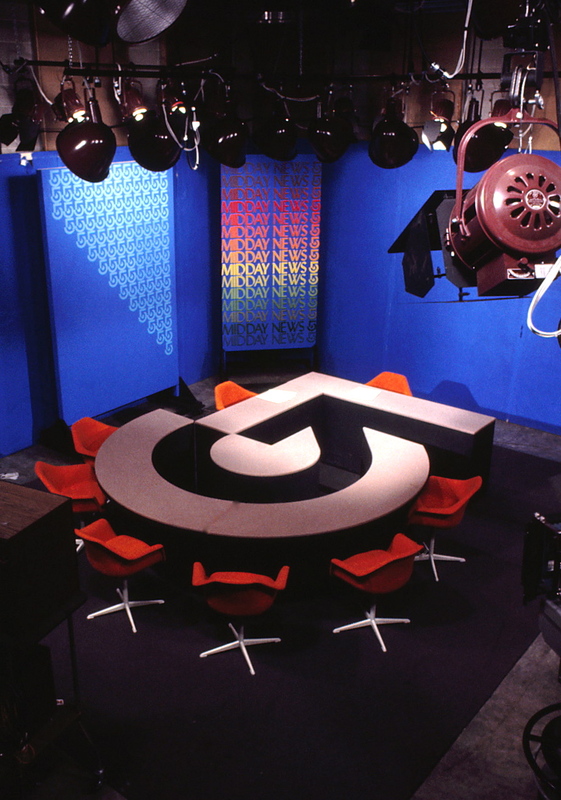 The symbols adaptation as the stations first News Set. Its multi-purpose configuration allowed for interaction between the co-anchors and their broadcast guests. 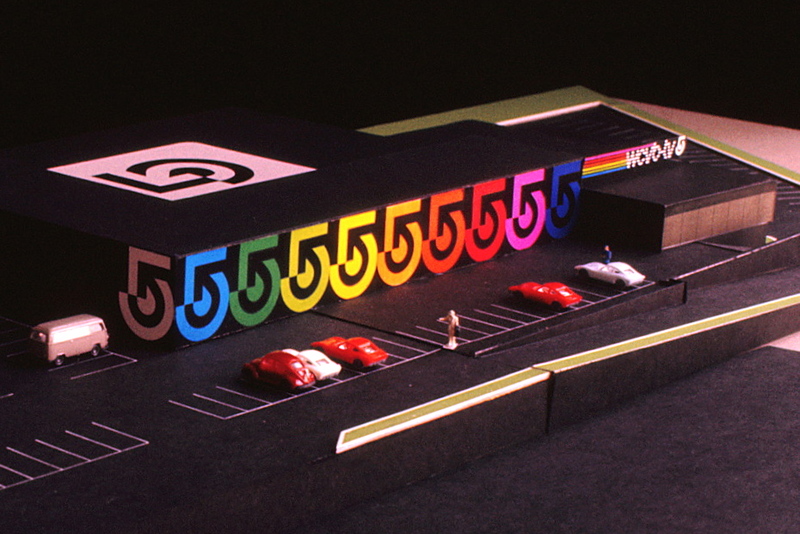 A scale model showing proposed building identification including a roof-top helipad. 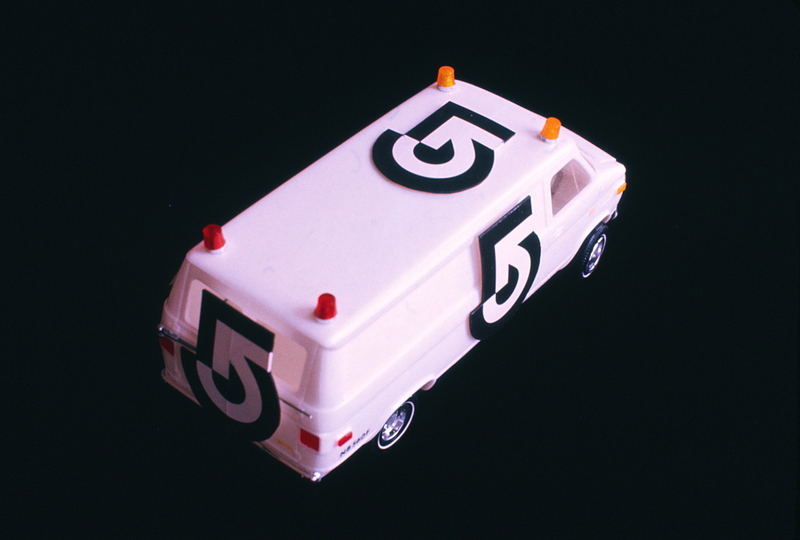 The symbol was applied to all company vehicles. 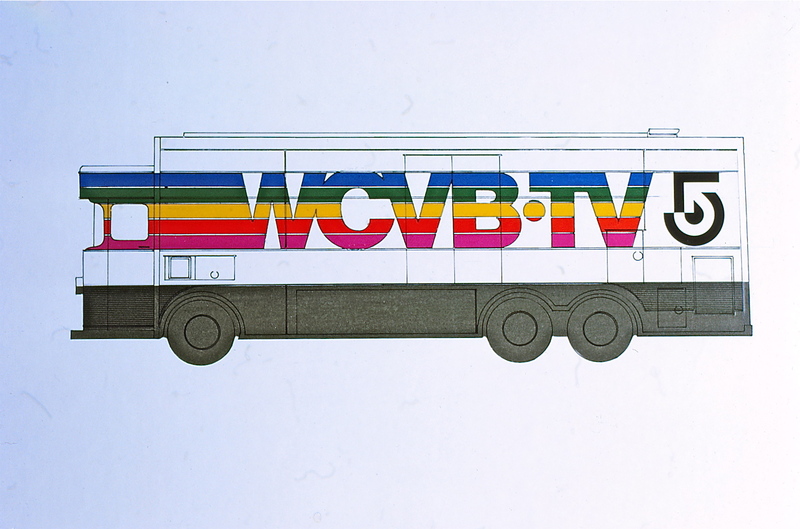 The multi-color band was to promote the all-color broadcast capabilities of the new station. 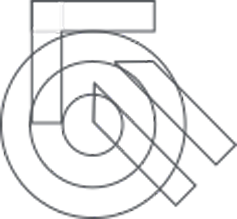 The design development of the symbol had to consider its use at all scales and in a variety applications. 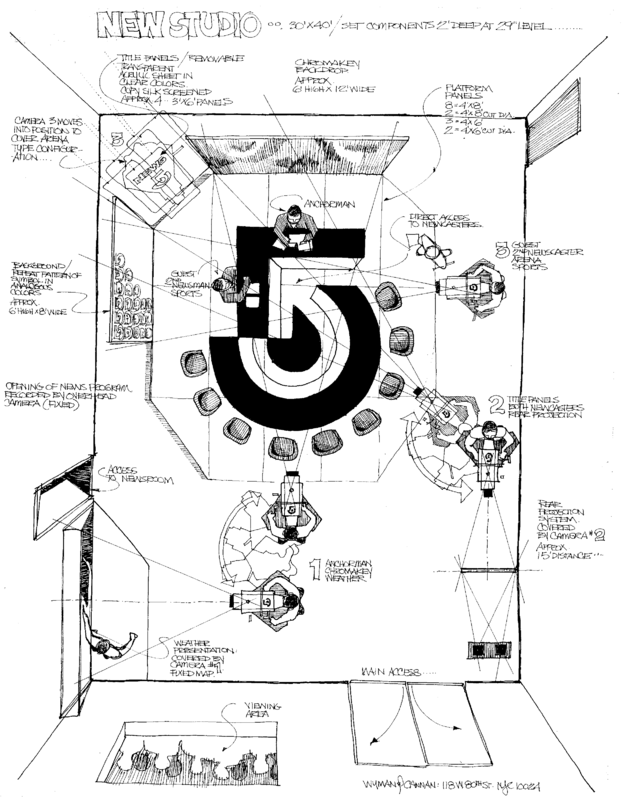 A preliminary design development sketch illustrating the News Set concept and its versatility. 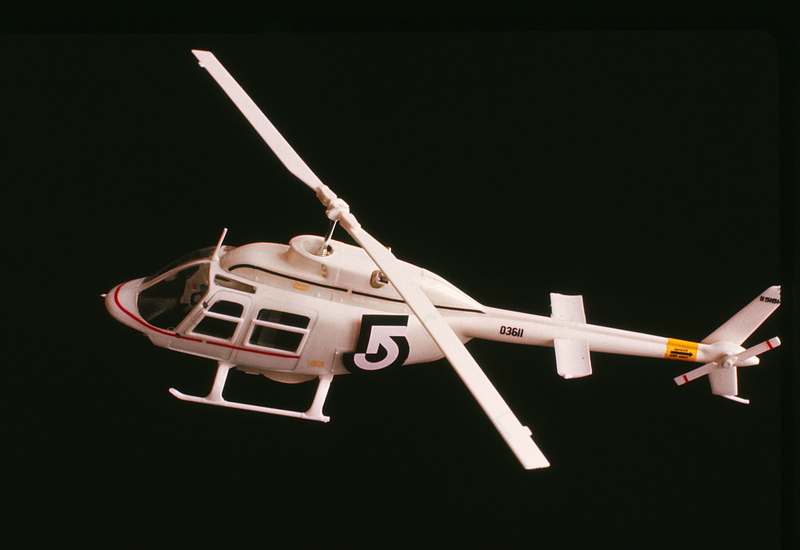 Any successful symbol has to adapt to a variety of applications both for broadcast and/or print purposes. 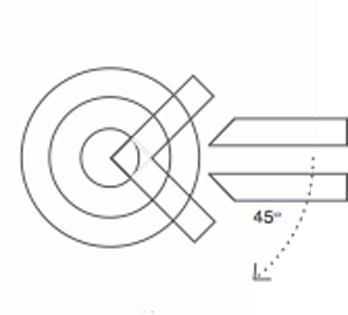 The basic concept for the symbol was the combination of concentric circles with a directional arrow. Superimposing the 2 elements at a 45 degree angle provided the basic geometry for the symbol. 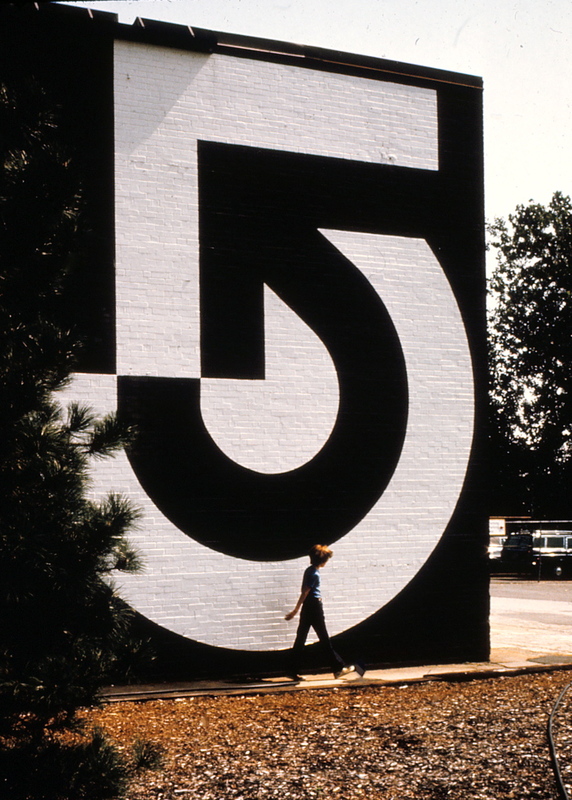 With minor adjustments the dynamic arrow becomes the core of the symbol creating the new identity for WCVB-TV Channel 5, Boston. This studio wall shows a typical concept stage of the symbol's development process.